Thanks to everybody who contributed towards our ‘Sponsor a brick’ campaign during 2013. Over £15,500 was raised to extend the office, to improve its layout and provide privacy for one to one work with the older people who visit the regular drop-ins and activity sessions each week. 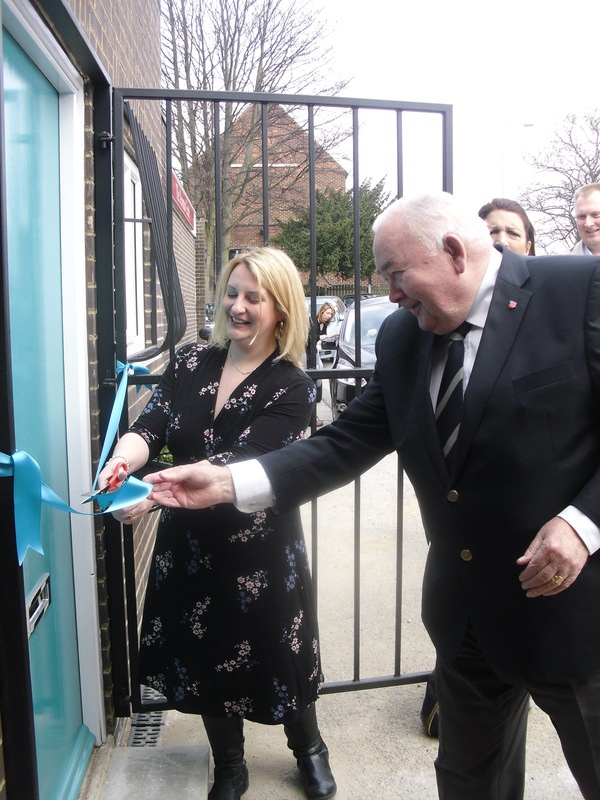 Councillor Lucinda Yeadon, Executive Member for Adult Social Care cut the ribbon to officially open the new building on Tuesday 9 April . This was followed by spring-time themed entertainment for members and the official launch of the scheme’s ‘Book of Thanks’ – a written thank you to all the people who fundraised to make the extension possible. The official ‘Book of Thanks’ is now available to read in the new office.